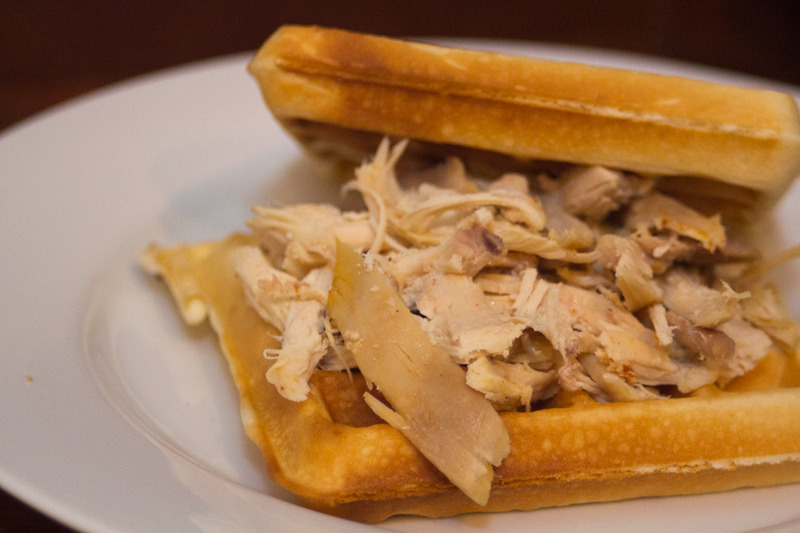 Chicken-N-Waffles is one of my favorite “comfort food” breakfasts. It’s my favorite because it perfectly combines sweet and salty. Try whipping up this delicious meal for your next brunch. 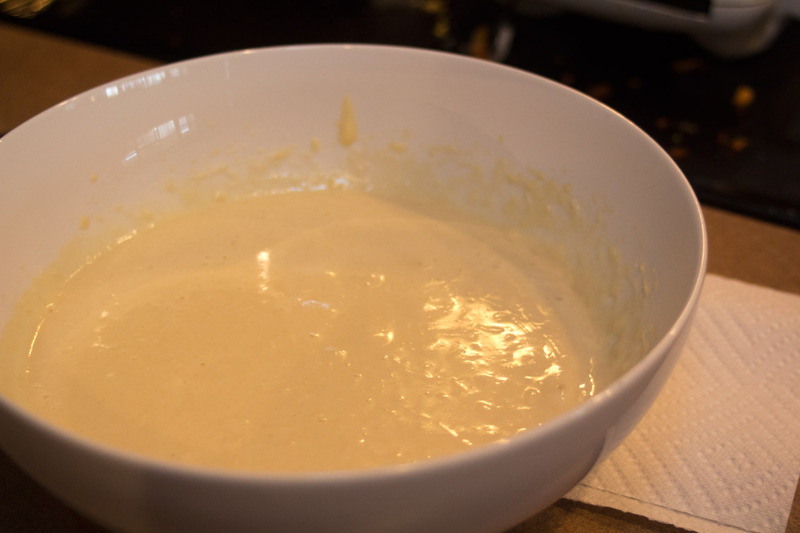 Mix the Bisquick, Milk, Egg, and Vegetable Oil in a large bowl. Mix well so there are no lumps. 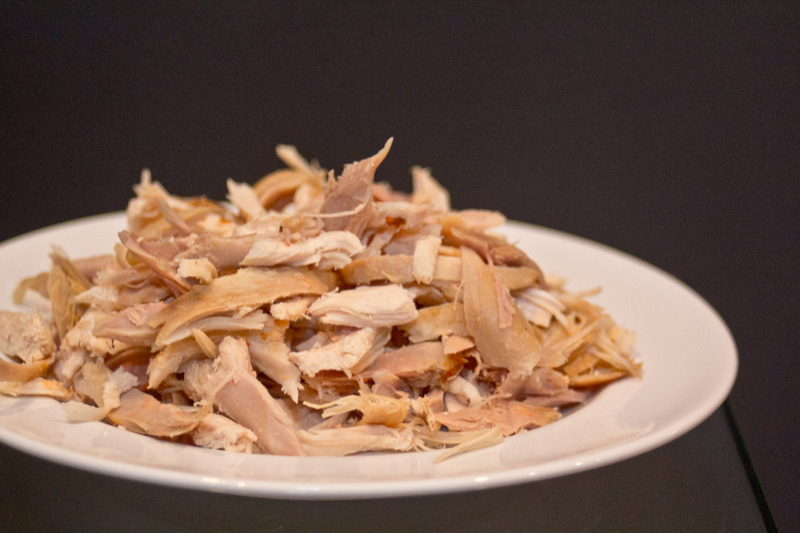 Shred a few handfuls of your chicken and warm it up on a plate in the microwave. 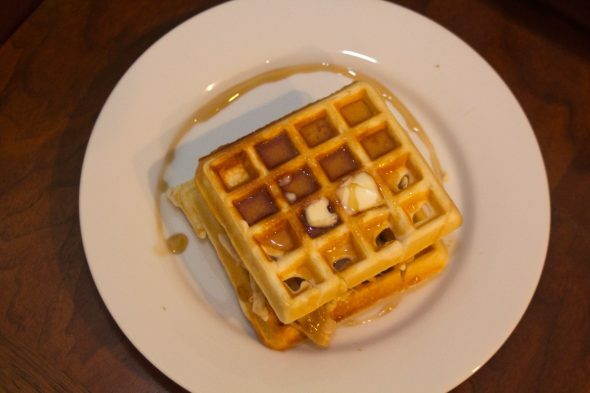 Cook your waffle batter in the waffle maker. They are done cooking when they are golden brown and not doughy. 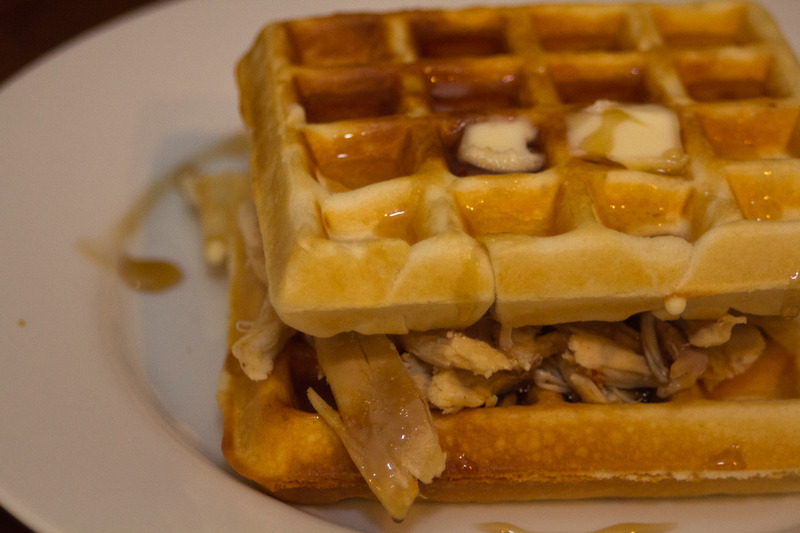 Your waffle batter shouldn’t be too runny or too thick. Find a nice balance in the middle. Thanks for visiting Bachelor Cooking! We hope you find some great recipes that you can share with your friends.